From his hospital bed Hunter Treschl vows to live a normal life after shark attack. 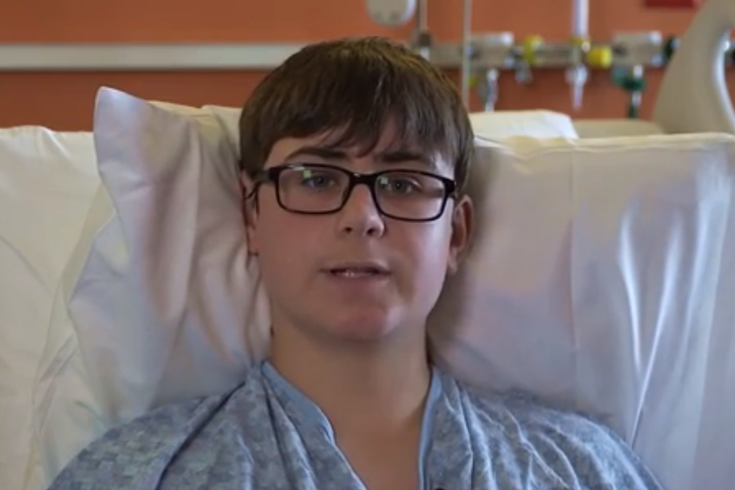 A 16-year-old who lost his left arm this week in one of two back-to-back shark attacks in North Carolina has been released from the hospital, officials said on Thursday. Hunter Treschl had been playing with a cousin on Sunday in waist-deep water off Oak Island, North Carolina, when he was bitten. His arm was removed below the shoulder, and he had been recovering in the New Hanover Regional Medical Center in Wilmington. A hospital statement did not specify when the boy was released. Treschl was one of two youths seriously injured in the shark attacks, which occurred about an hour apart on Oak Island, and which also saw Kiersten Yow, 12, lose part of her left arm and suffer serious leg injuries. The attacks occurred at the start of the summer tourism season in Oak Island, where officials now are seeking to ban beachside shark fishing through the July 4 holiday weekend, according to the StarNews newspaper, based in Wilmington. Earlier in the week, the hospital posted a video in which Treschl said the encounter came without warning. Authorities in the beach town of 7,000 year-round residents asked state wildlife officials to limit fishing that can involve a practice called chumming, in which bloody fish parts are tossed into the water to draw predators, the StarNews newspaper reported. Dual shark attacks in such close proximity are extremely rare, said George Burgess, director of the International Shark Attack File database maintained at the University of Florida. Last year, his group recorded 52 unprovoked and nonfatal attacks in the United States, with almost half occurring off the east coast of Florida.